But... the app needs a bigger data base. MyFitnessPal’s database is extensive in my opinion. It’s the only thing holding me from going 100% to YAZIO and the 5th star. Aesthetically and value wise i love it. 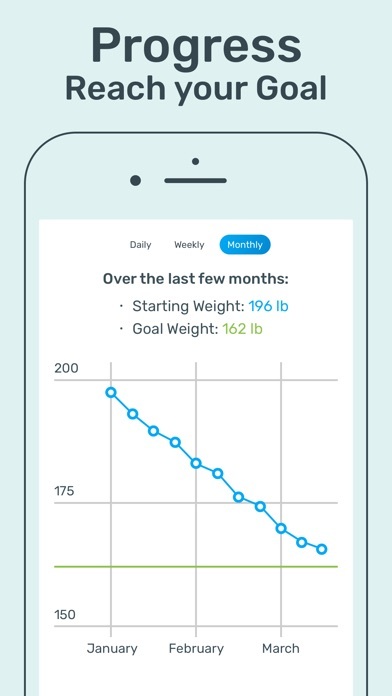 I’ve recently started the keto diet and this app is perfect for tracking your macronutrients (carbs, protein, fat). For any diet really, as it allows you to pick the percentages of each macronutrient and many other cool features! I definitely recommend the pro version! 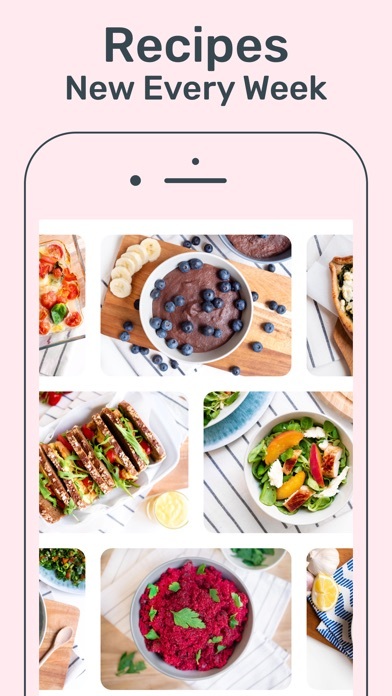 I’ve been no stranger to calorie counting or meal prep, and have used a variety of apps. This one is by far the worst. The free version is basically useless, and I tried upgrading to the paid version thinking it would be better. Wrong! So the paid version provides meal plans. This means it gives you recipes. I got two a day. 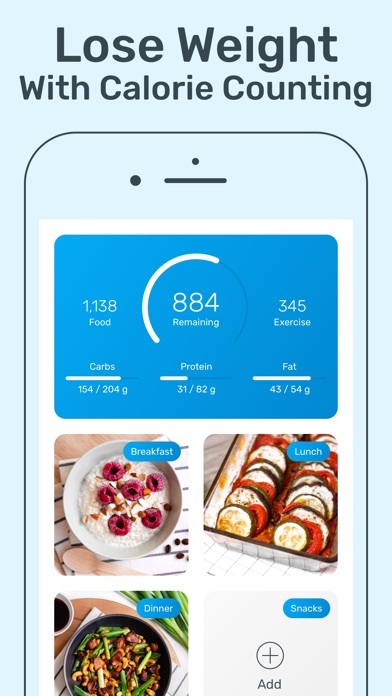 A sample menu as laid out in this app for me in a full day includes no breakfast, whole wheat rolls for lunch (~200 calories) and a quinoa and fruit bowl for dinner (~300 calories). And it constantly sends me reminders to drink water if I’m hungry. Seriously? At 500 calories a day with basically no protein, no vegetables, and no fat of course I’d be starving. The point of this is to stay healthy, not starve myself. The food list only allows you to input most foods in ounces. A pat of butter? Better figure it out in ounces! Half an Apple? Nope, ounces. A teaspoon of anything? You won’t be able to find it. There’s an option to scan a barcode but I haven’t scanned a single item in my entire kitchen that came up correctly. My fitness pal is free and has way better functionality. I’m also a picky eater. I tried to swap the recipes but it would only cycle through the same 5 meals. For the week. None of them looked appealing and in most cases were not appropriate for meals. Who eats just rye bread for dinner? I’ve already cancelled the subscription and have been trying to get my money back for days, but the customer service department seems even more pointless than the app. Don’t waste your time. Stick with literally any other app out there. I’ll be going back to MFP. It would be better if you could link Fitbit data without going pro, but all I all it’s a good tracker. 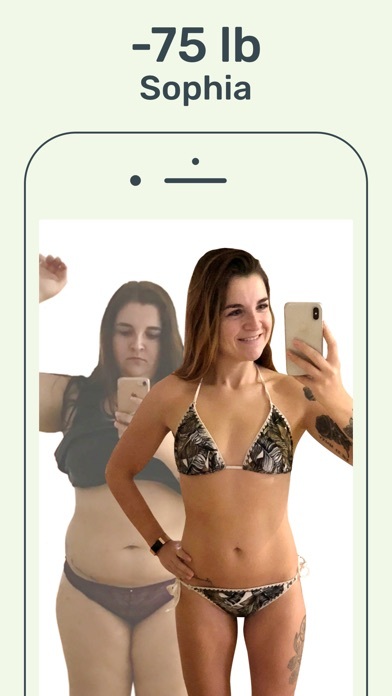 I am a diabetic and also doing Keto and this app has no way of changing the high carb option. What they set is what’s set but you can’t see this before you pay. I regret paying for the premium plan! I have been using MyFitnessPal for a long time. I have also been stuck at the same weight for a long time. I thought the change of program might help me get going again. 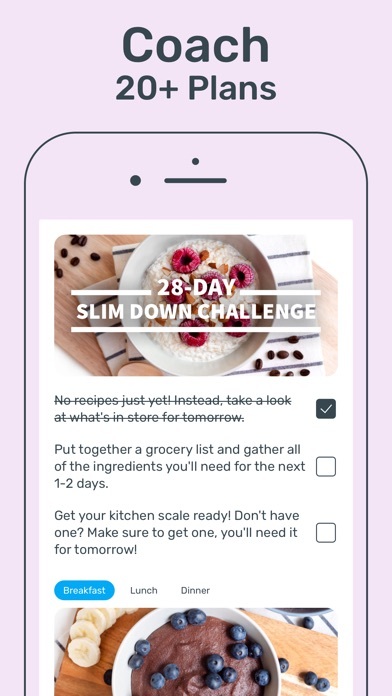 The food logging with this app is TERRIBLE! Everything is in ounces, even when I create my own recipe. So, I have no idea how much to put in. I created a recipe for a healthy homemade pizza I found online. When I went to enter it, even though I tried to say it had 6 slices, I had to enter it in ounces. The only way I can get the food right is to log it all In MyFitnessPal and then transfer the number into this app calling it a “custom entry”. I may just kiss my money goodbye and go back to MFP. I was really looking forward to the change, especially since I could use my Apple Watch with this app, but it takes my twice as long to enter my food. Disappointed. I can not change Kcal to Cal for my Apple Watch face. 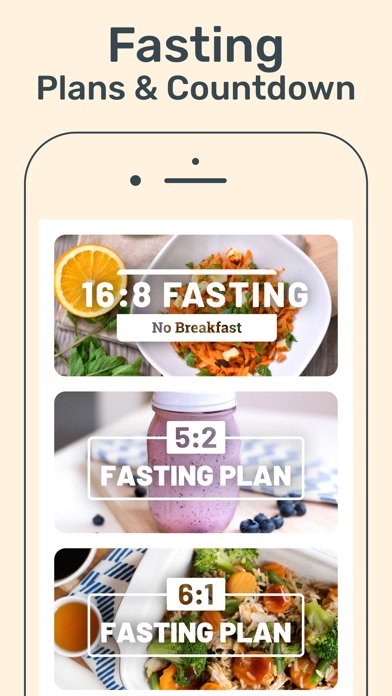 This app helps me stay accountable for what I eat. It is super easy with great tools to help me stay motivated. 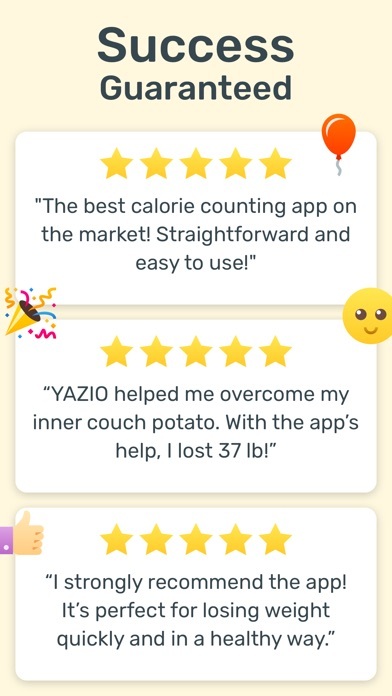 The FB YAZIO community is amazing and supportive. I love this app!